Home Tags Posts tagged with "joseph levitch"
Jerry Lewis, one of Hollywood’s most successful comedians, has died at the age of 91, his family announced. In a statement, Jerry Lewis’ family said he died of natural causes at his home in Las Vegas on August 20. Jerry Lewis’s ten-year partnership with Dean Martin saw them star in 16 films and achieve huge box office success. The comedian became the highest-paid actor in Hollywood, chalking up hits such as The Bell Boy, Cinderfella and The Nutty Professor. Fellow celebrities paid tribute as news of Jerry Lewis’ death broke. Whoopi Goldberg called it “a gain for heaven, but big loss for comedy”. Jerry Lewis was born Joseph Levitch in Newark, New Jersey, to Russian-Jewish parents who were both in show business. He started performing on stage at the age of five alongside his parents. Jerry Lewis teamed up with Dean Martin in the late 1940s, acting the goofy sidekick to Martin’s suave persona. Over the next 10 years they appeared in nightclubs, on TV and in movies, but their partnership ended with a bitter split. Jerry Lewis was also the host of the long-running MDA Telethon which raised many millions of dollars for muscular dystrophy. In 1995, he became the highest-paid star in Broadway history as Mr. Applegate in the musical Damn Yankees. He also won acclaim as a writer. 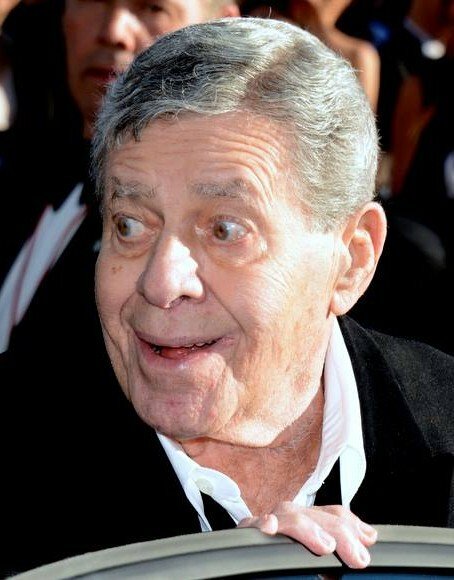 However, in his later years, Jerry Lewis courted controversy with racist and misogynistic jokes, and in 2007 he was forced to apologize after making an anti-gay slur during a telethon.